Tuesday morning, the House Select Committee on Benghazi released its final report of their investigation – and their findings should be devastating to the Obama Administration and to the “Hillary for President” campaign. But thanks to a complicit news media, the report is being minimized and misquoted by corrupt and politicized reporters devoted to a failed Commander in Chief and a presidential candidate being investigated for fraud and corruption by the FBI. Revealed in the report’s pages is a serious dereliction of duty and a blistering indictment of the Obama Administration’s abandonment of Americans under attack from terrorists: Over 600 requests for increased security ignored by Secretary of State Hillary Clinton and her minions who were safely living and working in Washington, D.C. In addition, dozens of U.S. Marines were told to get on a plane in uniform with weapons, then they were told 4 times to get off the aircraft, take off their uniforms, and change into civilian clothes, never deploying to Benghazi. To make matters worse, deliberate lies were told to the American people and the victims’ families especially by Hillary Clinton, who was proven to have told Americans the attack was a Muslim protest over a anti-Islamic video while that same night — Sept. 11, 2012 — she told her daughter Chelsea it was a suspected terrorist attack. “The Libyan Islamists used RPGs (rocket-propelled grenades) and mortars. Who the hell brings military weapons to a political protest? Clinton has always been a liar and she is still lying,” said former police counter-terrorism unit member Jacob Feltner. “Meanwhile, the Democrats released a separate report that is nothing more than a political snow-job accusing everyone of lying and the Republicans of wanting to stop her from being elected president,” Feltner added. “Now that we have the facts, one thing is crystal clear. 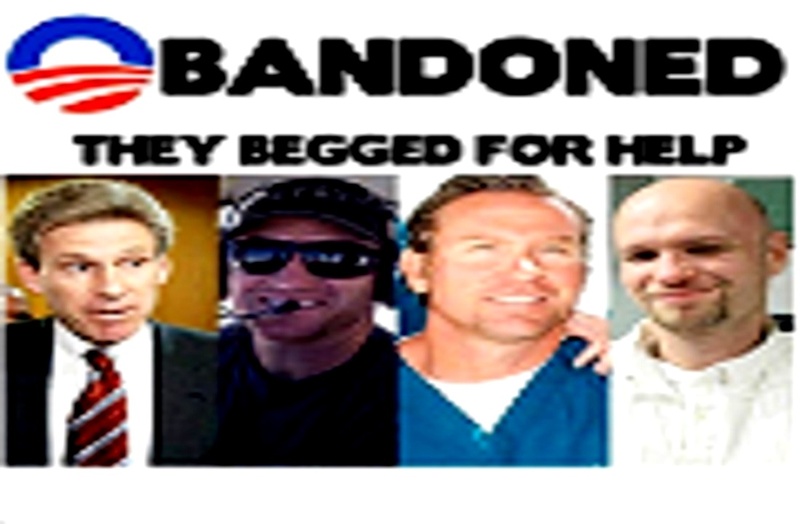 Four Americans were abandoned to die in Benghazi by the Obama Administration. The people who failed to protect Americans in harm’s way must be held accountable. That job is far from finished,” said Col. Jamie Williamson, Special Forces (Ret. ), who heads the Special Operations Education Fund, a 501(c)(4) social welfare organization. Amb. Chris Stevens death was a severe blow to his former fianace, actress Lydie Denier. But it’s been a source of lies, deceit and betrayal for then Secretary of State Hillary Clinton. Denier, who met Stevens in 1994, called him her first and only love, and spoke of then-Secretary of State Hillary Clinton’s role in the tragedy. “As far as Hillary Clinton … it will take more than six minutes for me to say how I feel,” Denier began, “but obviously I feel I think she should have done a better job for security and not ignore his request. If he was a friend — she said he was a friend — then you don’t let your friend down,” the actress said. 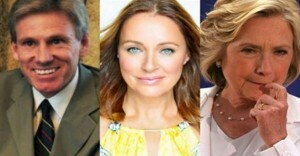 According to several law enforcement and intelligence officers, the truth is, thanks to the biased left-wing media, the tragedy in Benghazi has never received the public scrutiny it deserves. As Hillary Clinton seeks the Oval Office, hopefully those with a voice will elevate this and other travesties to a more audible level within public discourse. Voters must not be allowed to forget the damage Hillary Clinton has done. My Social was a number, of one that’s now deceased, my copied Birth Certificate comes from a printer we had leased. This Fable of who I really am was not BUILT as my Lie, as I said to all , so many times, someone else built that……not I. Should my transparency be not clear to you, it means I’m simply Plastic, with vision clear, see through those Lies, though I’d admit some were fantastic. From Fast / Furious, and Wide-Receiver, to Benghazi, IRS , scandals STILL with Hidden Truths, who else could give you less?? I deny the Evil of our enemies ways, grant them protection to this land, with disregard to America’s people, while I think “I am so Grand” !! Some may call me president, but “King Jester” seems my style, For I sell you illusions and empty dreams, and say it with a smile. My Legacy is wide and sure, for I make it sound OH so real, I can’t remember what I did, but I will read it all, in my very Rich,………Book-Deal !! I did my best to tear it down, and make Freedom a “Bad” word, some resisted my “Internal Coup”, a Silent Majority wants to be heard. A view / opinion, by Thomas Pastore / Vietnam Veteran / USMC / A member of the “Silent Majority”, asking Uncle Sam’s People to RISE again.